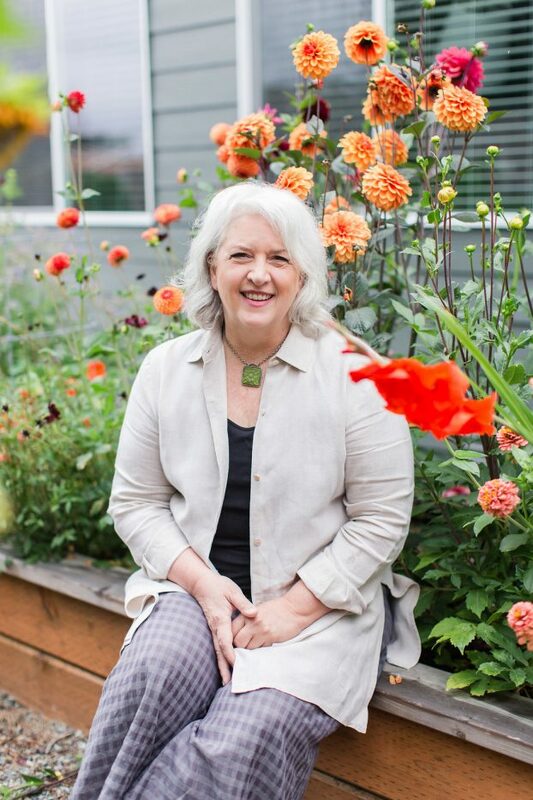 Debra Prinzing is a Seattle-based outdoor living expert who writes and lectures on gardens and home design. She has a background in textiles, journalism, landscape design and horticulture. A frequent speaker for botanical garden, horticultural society and flower show audiences, Debra is also a regular radio and television guest. She is the author of Slow Flowers (St. Lynn’s Press, 2013); The 50 Mile Bouquet: Local, Seasonal and Sustainable Flowers (St. Lynn’s Press, April 2012); Stylish Sheds and Elegant Hideaways (Clarkson-Potter/Random House, 2008), a Garden Writers Association Gold Award book, and The Abundant Garden (2005). Debra is a contributing garden editor for Better Homes & Gardens and her feature stories on architecture and design appear regularly in the Los Angeles Times’ Home section. She writes for top shelter and consumer publications, including Country Gardens, Sunset, Garden Design, Organic Gardening, Horticulture, Fine Gardening, Cottages & Bungalows, Metropolitan Home, Landscape Architecture, Alaska Airlines Magazine, Old House Interiors, GRAY and Romantic Homes, among others.